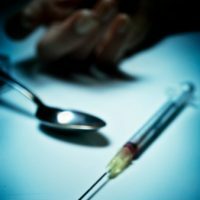 Heroin overdoses are declared an “epidemic” in Ohio | Yavitch & Palmer Co., L.P.A. In 2007, overdose deaths surpassed auto accidents as the leading cause of accidental death in Ohio. And the numbers are only growing. The state says 680 people died of heroin overdoses in 2012, a 37 percent increase from 2011. Health Recovery Services Executive Director Dr. Joe Gay told the Athens News that Ohio began seeing an upswing in heroin addiction running parallel to a decade of unrestricted prescribing of painkillers. After someone takes opioids, he explained, the brain immediately begins to adjust and develop a tolerance, soon requiring a higher dosage to have the same effect. For example, while an alcoholic may develop a tolerance that sees consumption going from eight beers a day to two cases, six times more, tolerance levels of opiates can increase by as much as 100 times. “So they’ve got to have more and more and more of it to have the same effect,” he said. “They get hooked. They develop a tolerance, and then they can’t afford their habits. Heroin is cheaper, so they turn to that. In March, Gov. John Kasich signed legislature giving friends or family members the OK to administer the drug overdose antidote, naloxone, marketed as Narcan, without fear of prosecution. DeWine has established a heroin unit of investigators, lawyers and drug abuse awareness specialists to tackle crime, addiction and overdose deaths. Laws restricting painkiller prescriptions may be curbing the number of people becoming hooked on painkillers, stopping heroin abuse at the source. When you’re charged with a drug crime in Ohio, finding a criminal defense lawyer experienced with drug-related offenses should be your first priority. If you or someone you know is facing drug possession charges in Ohio, contact our Columbus criminal defense attorneys at 614-224-6142 or fill out our contact form. Click here to learn about Stephen Palmer’s 19 years with Columbus criminal defense.